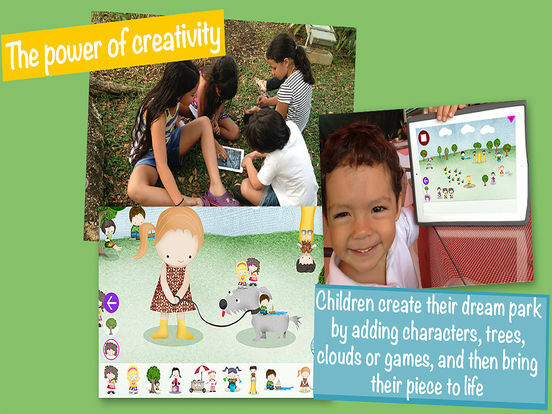 “Alma and the Doll in the Park” is the first app of the “Alma´s Powers” collection, a series of digital entertainment content for children designed to help your kids discover the full extent of their inner powers and apply them on their daily life, in such a way that they can become the superheroes of their own lives. “Alma and the Doll in the Park” is an interactive, current and original story –it’s not a Disney, Grimm Brothers or Hans Christian Andersen remake- written in rhyme, in the style of Dr. Seuss but with real, everyday situations and characters that children can relate to. 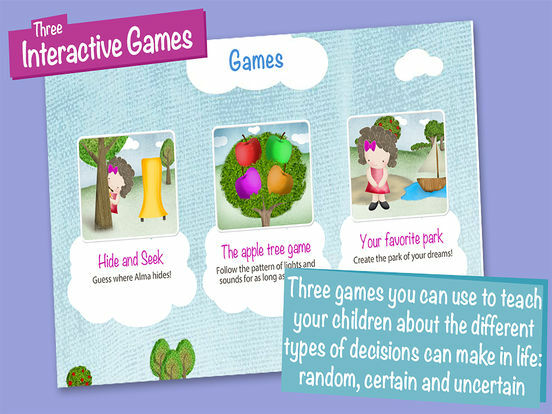 It features three amusing games which help your children explore and develop skills such as self-knowledge, emotional regulation, empathy, optimism and decision making, among others. In the story, a girl named Alma finds a doll lost in the park, and based on that event she’ll face a series of challenges, quests and new educational experiences in the company of other characters who offer her the chance to explore the world within her own emotions and create her own decision-making criteria, just like what happens in everyday life. - Random decisions: In the hide-and-seek game, children must seek Alma randomly. There is no way for them to know whether their decision is the right one or not, because it’s up to chance. 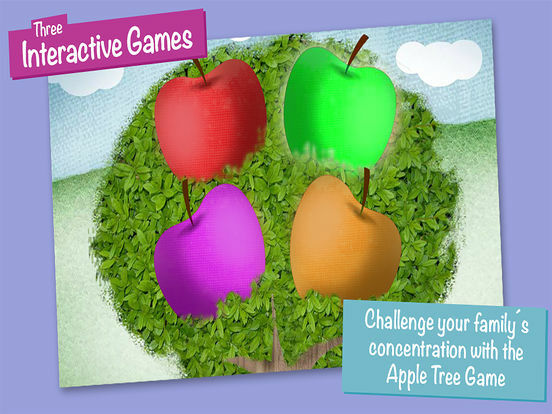 - Uncertain decisions: In the apple tree game, they’ll be able to follow the sequence as well as their concentration allows them, but there will be a moment when they’ll hesitate and fail, which is natural. Nonetheless, they’ll be able to see that practice makes them better at decision making each time around since they get more confident. - Certain decisions: In the park game, their imagination can roam freely and they can decide to build the park of their dreams as they will; picking trees, characters, items… their creation will be unique since it will be shaped exclusively by their choices. - A wonderful story to read before sleep, which is the best time of the day to engage in a relaxed conversation. - Read with your kids; it’s one of the most efficient ways to motivate them to read by themselves. - Challenge them to learn the rhyme; they’ll dazzle you with their memory, vocabulary and fluency! “Alma and the Doll in the Park” is being used by thousands of parents, teachers and psychologists across the globe to encourage the development of personal, social and emotional skills on boys and girls. Join us in building the new generation of empowered children who are the superheroes of their own lives. Go ahead and purchase the app today; it’s cheaper than an ice cream but makes for a much better food for the mind and spirit! If you have children between ages 3 and 8 and are looking for fun games or stories that do not involve violent content or drives them to isolation, then “Alma and the Doll in the Park” is just for you. An app that is as entertaining as it is educational, that fits perfectly in both categories.